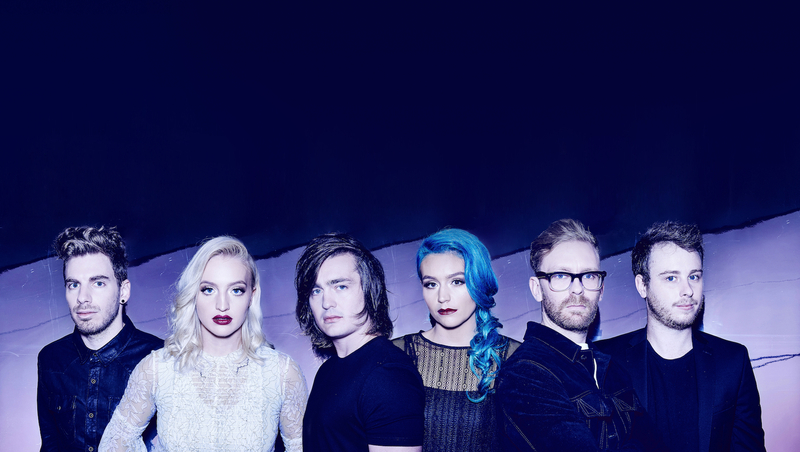 Sheppard is the dynamic sibling six-piece you've seen everywhere—from their opening slots on tours with Justin Bieber and Little Mix to their festival gigs across the globe. You've probably also had their 2014 hit “Geronimo" stuck in your head since it came out. The Brisbane natives have some exciting stuff up their sparkly sleeves for 2018 too, including an album titled Watching the Sky set to be released, and more YouTube videos coming to their stellar official channel. This Aussie supergroup, comprised of George, Amy, and Emma Sheppard, along with Michael Butler, Jason Bovino, and Dean Gordon, are talented beyond belief. Their vocals are outstanding—chock full of seamless harmonies and original melodies that sound unlike anything you've heard before. One of their latest singles, “Coming Home” exemplifies this to perfection, and they nabbed a No. 3 spot on the Australian national charts to prove it. The cherry on top? The track just received a ARIA gold accreditation last week. In preparation for the big Watching the Sky release, the indie-pop wonders gave us the low-down on all of their favorite spots in their home city. Of the guide, they said, "Brisbane as a city definitely helps to inspire our music sometimes. For example, our latest track 'Coming Home' is about finishing a long tour and getting to come home to Brisbane. One of the lines in the chorus is "Meet me in the Valley", which is a reference to Fortitude Valley, the nightlife district of Brisbane." We got the insider’s look into everything from their favorite restaurants, karaoke bars, boutiques, and places from which they draw inspiration. Check it out below, and make sure to Track them on Bandsintown to stay up to date when they announce tour dates! "Because it's so delicious. Our favourite order would have to be the lobster gnocchi." "We love heading to our new local Mrs. Browns, and can never go past an Aperol Spritz since it's so refreshing in the Brisbane heat!" "They have such a creative and different menu that's really modern and fresh. You should definitely order the breakfast carbonara!" "Not sure if it's underrated but it is such a lovely location. There are always markets on the weekends and it's located right next to new farm park. You can even just head down there for a beverage along the river." "The Triffid great place to catch a show, it's not a huge venue which is great when you are wanting to enjoy a more intimate show and it has great vibes." "Hands down the best Vietnamese food and on weekends they also have Karaoke!" "They always have such colourful and unique designs and who doesn't love a sequin?" "Riverstage is located in the Botanical Gardens and has hosted some of the great music legends in its time!" "We have a boat that runs up and down the Brisbane River called the City Cat. It's actually a super easy way to get around Brisbane and is beautiful at night."